Viknesh Vijayenthiran August 20, 2014 Comment Now! BMW’s new 2-Series in coupe form has been on the market for several months and has proven to be a bundle of fun, particularly in M235i guise. But there are plenty of other additions to the 2-Series family on the way. One of these has already been revealed in the form of the 2-Series Active Tourer, and not long ago we posted some spy shots of a hot M2 model. 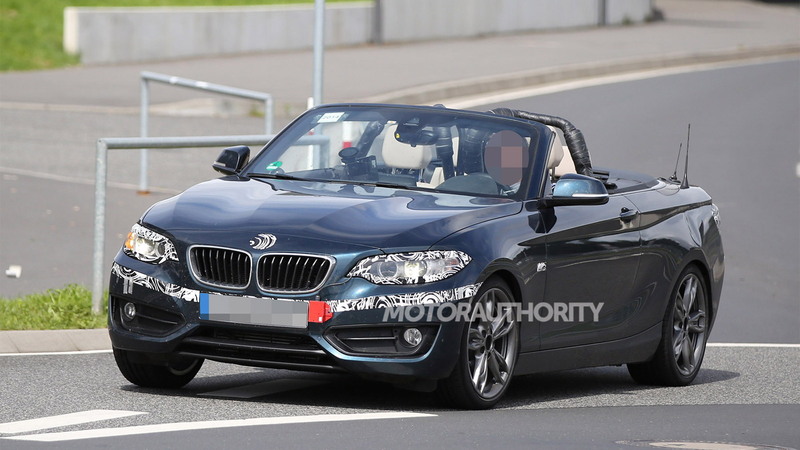 Now we’ve got our hands on a set of shots showing the upcoming 2-Series Convertible. 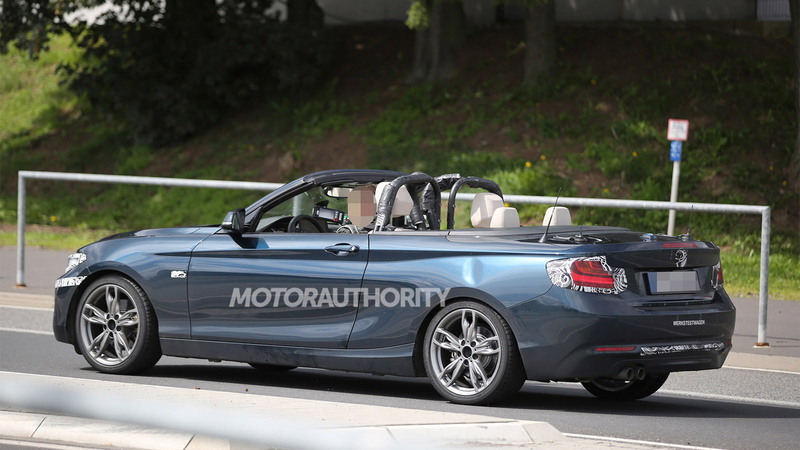 The 2-Series Convertible is the replacement for the outgoing 1-Series Convertible and is virtually identical to the 2-Series coupe except for its soft-top roof, which folds away neatly into the trunk. The chunky roll bar shown in some of the shots is temporary unit used during testing. Expect the engine lineup of the 2-Series Convertible to match that of the 2-Series coupe, meaning a base 228i model powered by a 240-horsepower turbo four and a sporty M235i M Performance model powered by a 322-horsepower turbo six. 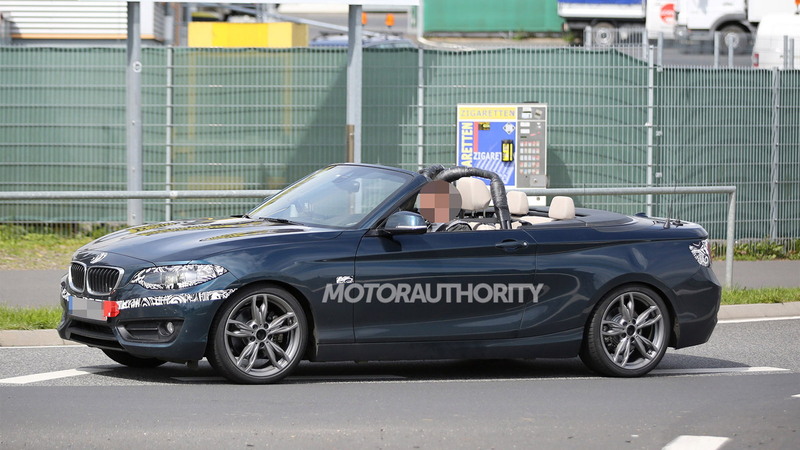 Both models are featured in the spy shots gallery, with the M235i identified by its aggressive bumpers and uprated wheels, tires and brakes. A six-speed manual should be standard and joined by an available eight-speed automatic. Drive will go to the rear wheels only but eventually an xDrive all-wheel-drive option should be offered. The xDrive system has already been announced for the 2-Series coupe. 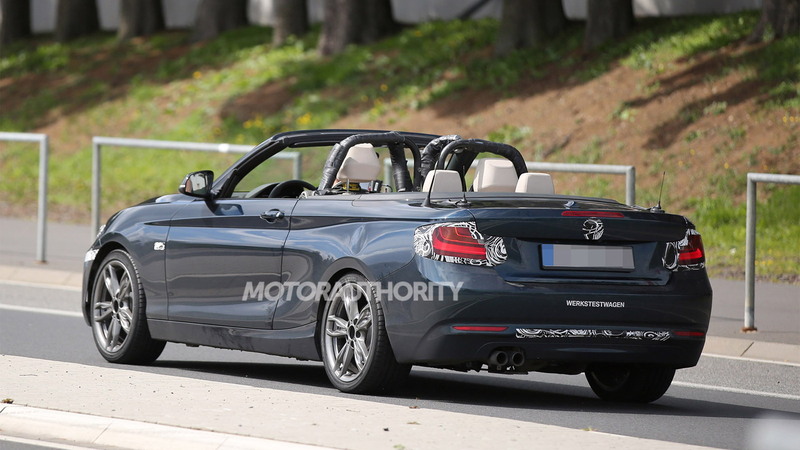 A debut for the 2-Series Convertible is expected later this year, with sales likely to commence next spring, meaning we could see it as a late 2015 model year entry. 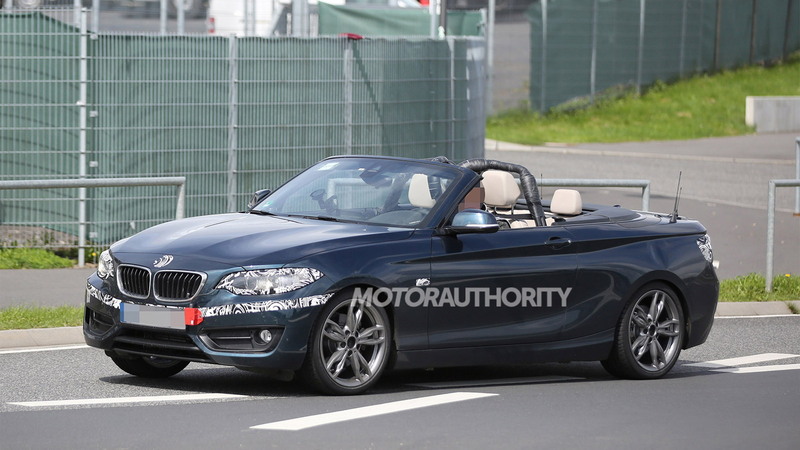 BMW may end up delaying it until the 2016 model year, however. The starting price should be a couple of grand above the base 2-Series coupe's $33k sticker.